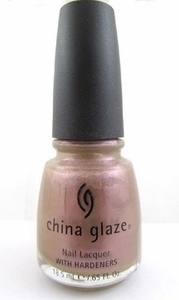 China Glaze Nail Polish, Here Kitty, Kitty, CGX148, .50 fl. oz. Semi-sheer pink nail color with iridescent/pearly beige undertones and subtle shimmer.